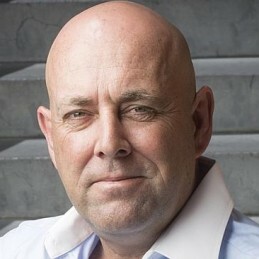 Darren Lehmann became the coach of the Australian Test cricket team two weeks before the 2013 Ashes tour of England. Although many viewed it as a very risky exercise, the team’s 5-0 triumph in the home 2013/14 Ashes campaign justified his appointment. Lehmann’s cricket philosophy is simple; play hard, respect the game, respect your opponents but enjoy the contest. He has an insatiable thirst for cricket and has impressed many of his contemporaries with his knowledge of the game. Following his retirement from playing, Lehmann became the coach of the Queensland Bulls T20 team for the 2011 Big Bash season. He was later offered the head coaching position of the Queensland Bulls and also the Queensland Heat. A stocky yet superbly talented left-handed batsman and often underestimated left-arm orthodox spin bowler, Lehmann played the full range of strokes in a classy but often aggressive manner. Lehmann made his first-class debut as a 17 year old in the 1987/88 season. He scored an impressive number of runs and enjoyed a stint with county team Yorkshire. At the time of his Australian Test debut in 1998, Lehmann held the records for the most runs scored and most first-class games played before a national call-up, records that were both later broken by Mike Hussey. With a first-class career average of over 50, he had a few opportunities to solidify his spot in the Australian side but failed to do so until the less than ripe age of 33. His first hundred came in his tenth appearance at Port-of-Spain. He followed up with two centuries against both Sri Lanka and Bangladesh. In 2004, following a thumb injury to Ricky Ponting, Lehmann was named as vice-captain to Adam Gilchrist in the 2004 tour of India but a hamstring injury struck during the third Test. Over the course of his career, Lehmann had many more opportunities in the Australian one-day team. He struck the winning runs in the 1999 World Cup at Lord’s in England and was a key member of the triumphant, undefeated 2003 team in South Africa. Following his international call-up, Lehmann continued to perform at domestic level winning Sheffield Shield titles in 1990/91 and 1995/96 and a County championship in 2001 with Yorkshire. In the 2005/06 Sheffield Shield season he scored 1168 runs at an average of 89.84. Lehmann’s career best was 301 against Western Australia at the Adelaide Oval. Although Lehmann handed over the captaincy following the 2006/07 season, he continued to play for South Australia in 2007/08, finishing with two centuries.